A Myanmar-based Turkish teacher, probably with links to the Gülen movement, was detained along with his family at Yangon International airport after Turkish government cancelled their passports, on Wednesday. Teacher M. Furkan Sökmen, his wife Ayşe and daughter Sibel were detained by immigration officials who told the family that Turkish government invalidated their passports. “Please help me,” Furkan says resisting officials who allegedly tried to block him from recording the video. According to True Stories Twitter account, the passports were confiscated by Turkish embassy officials the same day. 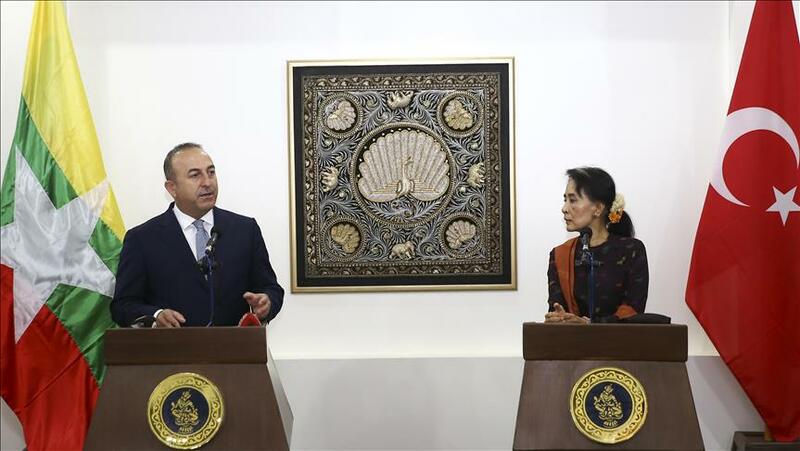 While the reason for the police action in Myanmar is yet to be known, earlier tips submitted to Turkey Purge as well as several other media articles reported on several mysterious incidents of abduction and detentions involving Gülenists or others from groups critical of the Turkish government. Turkey survived a military coup attempt on July 15 that killed over 240 people and wounded more than a thousand others. After the putsch, the government along with President Recep Tayyip Erdoğan accused the Gülen group for the attempt. President Recep Tayyip Erdoğan earlier called on foreign governments to punish Gülen followers in their own countries. Only a few countries including Saudi Arabia, Malaysia and Georgia seem to have complied with the request so far. Meanwhile, NBA star Enes Kanter’s passport was denied entry to Romania upon a request from the Turkish government, according to a tweet posted by the Turkish basketball player on May 20. An outspoken movement supporter, Kanter later told media that Turkish government tried to catch him also in Indonesia.